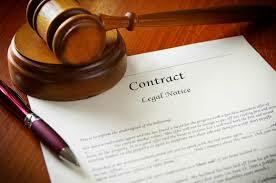 The private and social functions of contract framework and of contract law are examined here. In section 4.1 the basic theory of contracts is considered, in section 4.2 production contracts are analyzed, and in section 4.3 several other types of contracts are discussed.A contracts is a specification of the actions that named parties are supposed to take at various times, as a function of the conditions that then obtain. The actions usually comprise delivery of goods, performance of services, and payments of money, and the conditions include uncertain contingencies, past actions of parties, and messages sent by them. It is said to be complete if the list of conditions on which the actions are based is exhaustive, that is, if the contract provides explicitly for all possible conditions.